When you think of troubled cities in America, you immediately think of Chicago (the windy city), right? 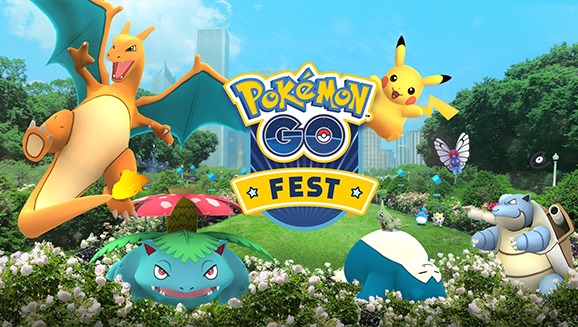 So, does it come as any surprise that when Pokemon Go decided to host the Pokemon Go Fest there this past weekend to celebrate the one year anniversary of the highly popular gaming app, that it was also just a total and complete disaster? 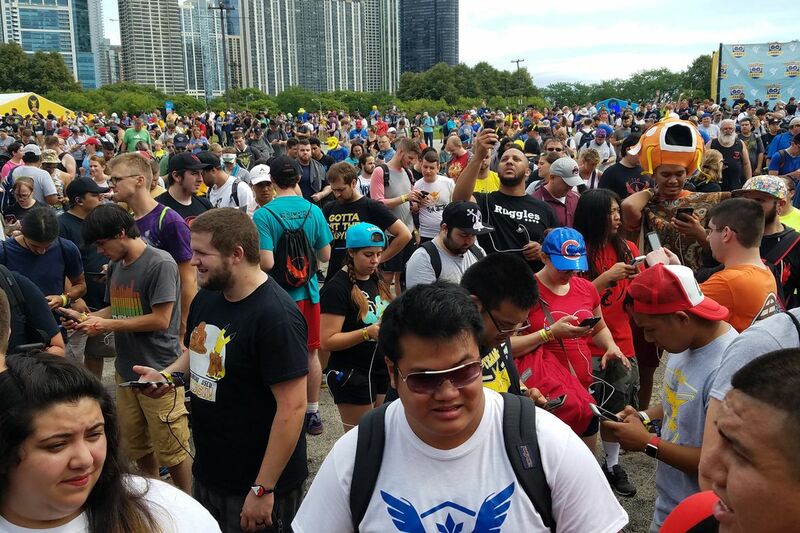 Admittedly though, it wasn’t Chicago’s fault this time, but rather that this much hyped Festival for Pokemon Go fans, just failed to deliver what attendees were expecting from it on all levels. Perhaps a befitting outcome to a festival for people who probably should just pick up some new hobbies rather than chasing around fictional Pokemon characters through their cell phones. Yes, a year on from the much hyped up game, which blends real life with that of little Pokemon’s popping up in public places on your phone screen, now seems to be dying off quite considerably and especially after this disastrous event. Maybe it will even make its players come to question its validity, and maybe even make them question themselves in the process. Like, “what the hell am I doing?”. People travelled to Chicago from all across America and beyond to partake in this event in Grant Park, but they were met with a series of technical glitches which prevented them from logging into the game. This of course meant that they were unable to join in the festivities of what should have been a fun-filled Pokemon event bringing people together from all around the world for a chance to catch the very first legendary Pokemon to be placed in the game. The Democrats would probably say that it was “Russian Hackers”, but everyone knows that that’s just always lies, so once everything went wrong, CEO of Niantic John Hanke took to the stage to appease the irate crowds, only for him to be booed off the stage by angry Pokemon Go players. Oh dear. Luckily there were no full-scale riots or deaths or even gunshots reported at the Chicago based event, which is quite surprising, considering it’s the gun crime capital of America. Angry international Pokemon players who came in from Australia, Denmark, Paraguay, France, Panama, Portugal and Singapore, were not happy campers, and Niantic were forced to offer full refunds for the $20 tickets, plus $100 complimentary vouchers for attendee’s to use in the game, as a form of compensation. Hardly a comfort for those that flew in from Australia, only to be subjected to the most disappointing outcome to ever occur. Could this spell the end of days for the once popular and crazed gaming app? It was all the rage last summer, so much so, that it spawned all sorts of disasters ranging from people getting hit by cars, people walking into lakes, trespassing and even being coaxed by prospective pedophiles and rapists into compromising positions in the wilderness. All of this because some poor sucker was desperately wanting to find a rare Pokemon. Yes, such was the fever pitch about this app, that even celebrities like Justin Bieber used to play it, (despite his age), along with many other adults who grew up with this Japanese cartoon back in the 90’s. Sure, we did have a go once. We were extremely bored and somebody we knew suggested playing it, so we tagged along only to walk around and find nothing. After returning home disappointed and on the verge of uninstalling the app, we discovered that the world famous Pikachu actually lived inside our refrigerator in the kitchen. A truly magical place. In that moment, we were blessed with possibly the most recognisable Pokemon of the lot, and that made us feel incredibly special and god like for a few fleeting seconds. He probably still lives in there right now. The angry crowds in Chicago yelled “fix our game” over and over, but too many technical bugs and glitches rendered the whole event ruined, solidifying the one year anniversary event as a complete and utter disaster. Bottles were thrown at event organisers when they got up on stage and it was very clear that the fans were pissed off, and rightly so. John Haberkorn, a member of the Chicago Official Pokemon Go 40 club, said that he began waiting in line for the event at 6am, and he told the Chicago Tribune “the excitement has just been drastically minimised because of what we experienced today”. John added, “We put together money and stockpiled gifts in order for these people to be able to make it”. The gaming app, which has been downloaded more then 750 million times since it’s launch last summer, now faces uncertain times ahead, and Niantic stated that they expected the servers to stay stable and that it reminded them of the first launch day, when too many people overcrowded the gaming app at the same time, rendering it impossible to play. At the event, when Niantic’s Chief Marketing Officer Mike Quigley tried to calm angry festival goer’s by offering them a free legendary Pokemon; the world’s very first Lugia to be obtainable in the game. For some reason, the festival crowd became even more pissed off. Go figure! So, is this the end of Pokemon Go? Is it the end of seeing people acting strangely walking around with their cell phones as if tripping on LSD with debilitated motor functions with square eyes focused on their phone screens? Who knows? What we do know however is that it sure looks like this can be the beginning of the end for Pokemon Go, much to the dismay of cunning child molesters everywhere. It might not happen right away, but the end will come very soon. Perhaps, it would be better to just go out there in real life, without Pokemon Go, and experience the world as it is normally, instead.